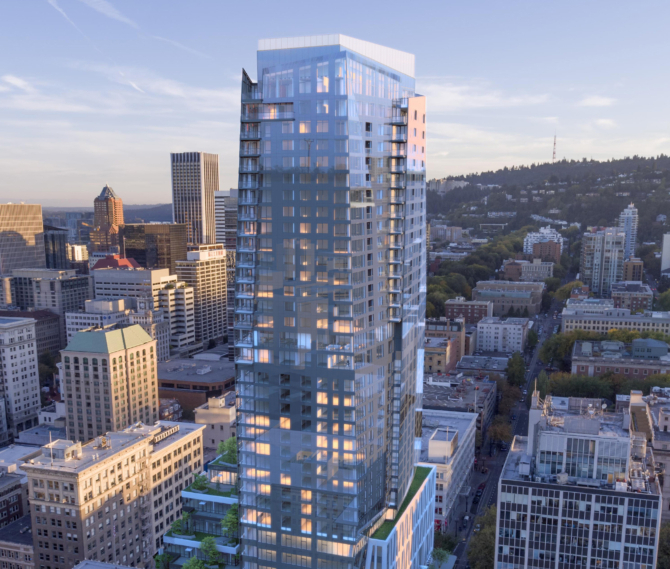 GBD formed a joint venture with Hacker Architects for the design of Cyan/PDX. 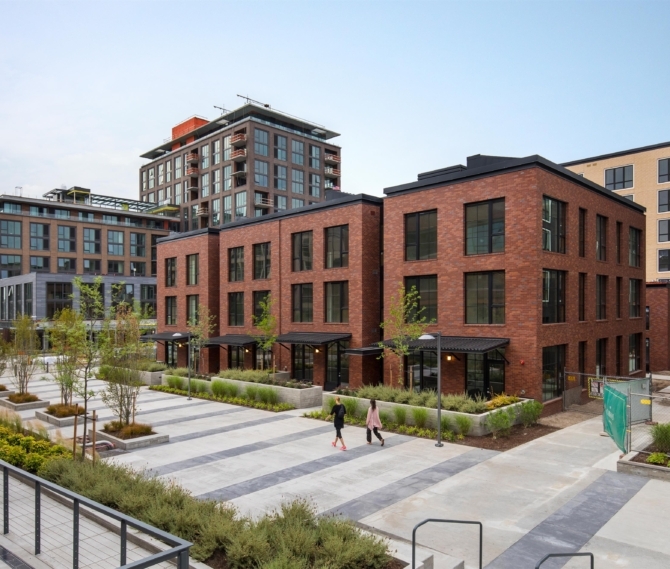 Cyan is nestled in the Auditorium District of southwest Portland and achieves the best possible mix of affordability, livability and sustainability. 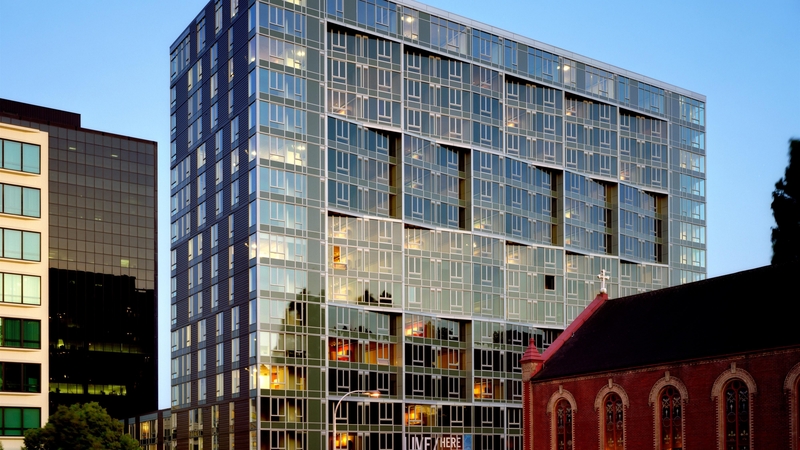 The 16-story building consists of 354 for-rent units, with 6,000 sq. feet of ground-level retail and five levels of below-grade parking. 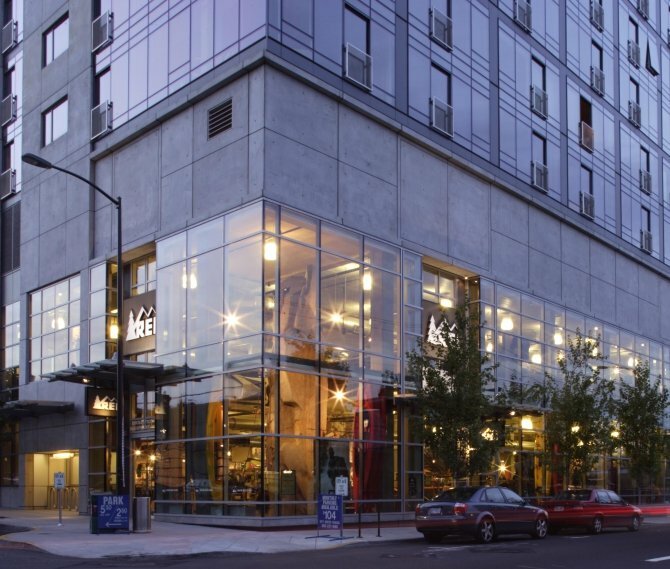 Located at the confluence of Portland Streetcar and MAX light rail, tenants have immediate access to public transportation. A connecting plaza creates a variety of public and private spaces. Units range in size from 525 sq. foot lofts to 1,070 sq. foot townhomes. Interior features include: bamboo veneer cabinets with non-urea formaldehyde core; Corian countertops (durable and non-off gassing); recyclable carpet tiles; concrete ceilings; and large operable windows. Public spaces include a fitness room, community room and outdoor garden plaza. Sustainable design elements include onsite rainwater storage for landscape irrigation and toilet flushing; accessible, vegetated ecoroof; low-emitting materials; no CFC or HCFC refrigerants; high-performance envelope; and recycled materials. 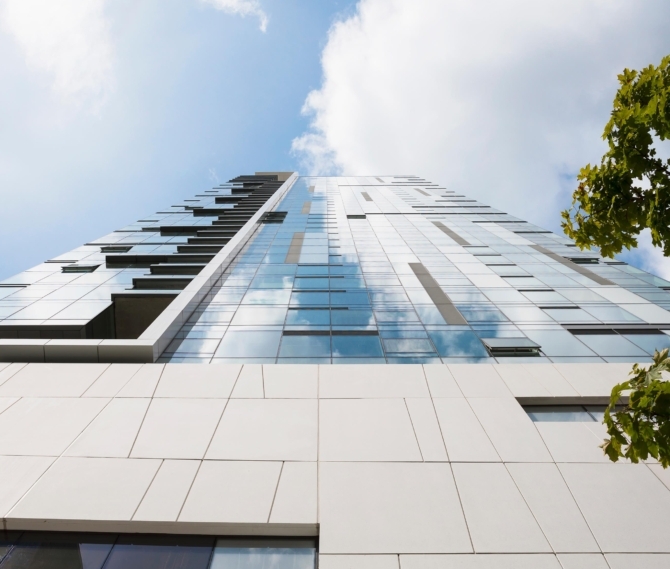 Cyan was completed in July 2009 and received LEED Gold certification.